I am using Nokia N95 phone from last couple of years. The cell phone is really good and easy to use, it has a 5 Megapixel Camera, Bluetooth, Wi-fi and many more cool features. The firmware installed on my phone was ‘V 20.0.015’, you can check your Nokia phone firmware version by pressing *#0000# on any Nokia phone. 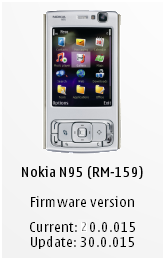 I wanted to update my N95 phone firmware with the latest firmware software available with Nokia, and for that first you have to install Nokia Software Updater which you can download from the following link (http://europe.nokia.com/support/download-software/device-software-update). The followings are required in your machine to run this update. USB cable (data cable) to connect your phone with your PC. 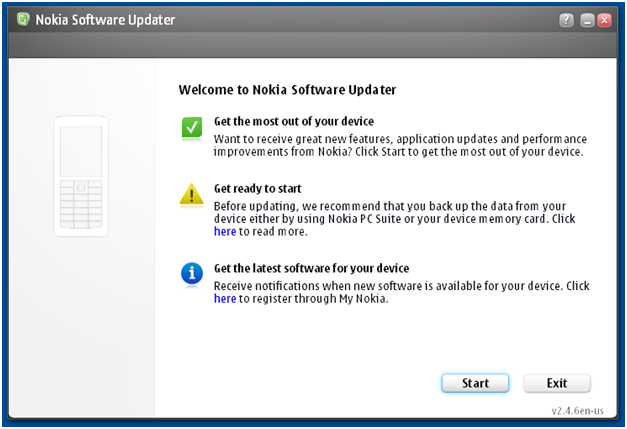 Once you have downloaded and install Nokia Software Updater on your computer, launch the application. Switch your device on and connect it to your PC using the USB cable. Remember always take backup of your phone before updating your phone firmware, as all data is lost during the update. I took my phone backup on my memory card (and took the card out of the phone), you can also use the Nokia PC Suite software to take your backup. The phone cannot be updated in ‘Offline’ profile, so switch to ‘General’ profile and make sure that phone battery is charged completely, so that it does not run out of power during the update process. Click on ‘Start’ button, the application will start searching for you connected device (cell phone). 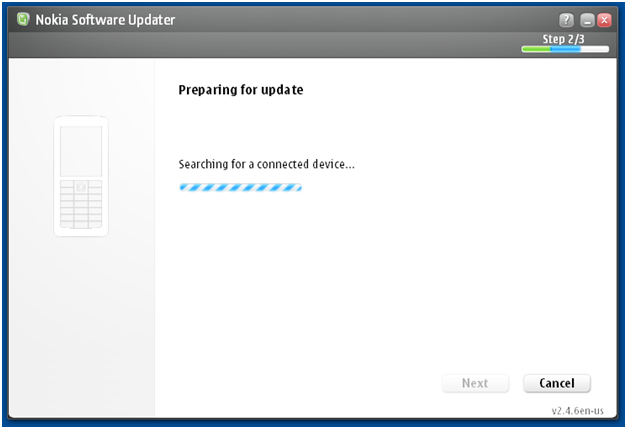 Just click on the ‘Install’ button and sit back and relax, my phone got updated within half-an-hour. Once the update is completed, restore your data (backup) I used memory card for backup, so I have to put the card back in the phone. In case you used Nokia PC Suite you have to connect your phone to the PC via USB cable, select Backup and Restore. Now my phone is loaded with the latest version of firmware/software. Thanks, I hope this blog was useful for you.